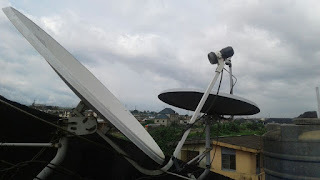 When it comes to free to air (FTA) many people want to use it due to the high range of dstv mostly in Africa, talking about satellite, iks decoders that can access most of the various free to air as much as using the preferred iks Dongles. Mean while most installers find it difficult to track most satellites position due to the frequent changes of positions. These dongles are well designed and lunched for the usage of most people that can't afford the high range of the dstv. 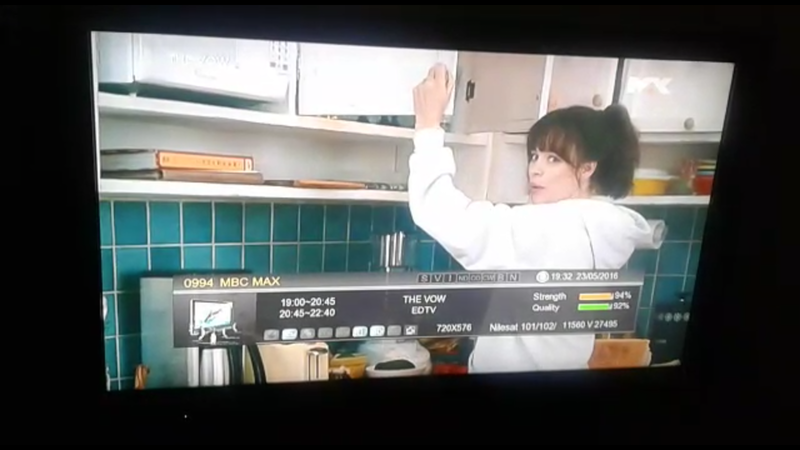 Today we shall be given you how to get your "MBC" working, we all know most time it goes off or position might be change just as we have the Sports 24HD always changing. We find out some days ago the MCB at Position Eutelsat goes off and while MBC at Position Nilesat on some various location still working. For you to hit back the MBC have it in mind that your on 1miter dish. If you have the above listed requirements we shall be given you steps on how to get your MBC working. 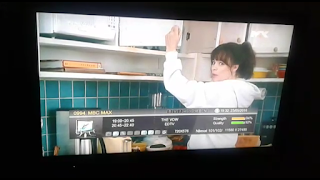 The dishes you are looking at on the above image are two, the small dish is dstv position, while the big dish is for MBC. 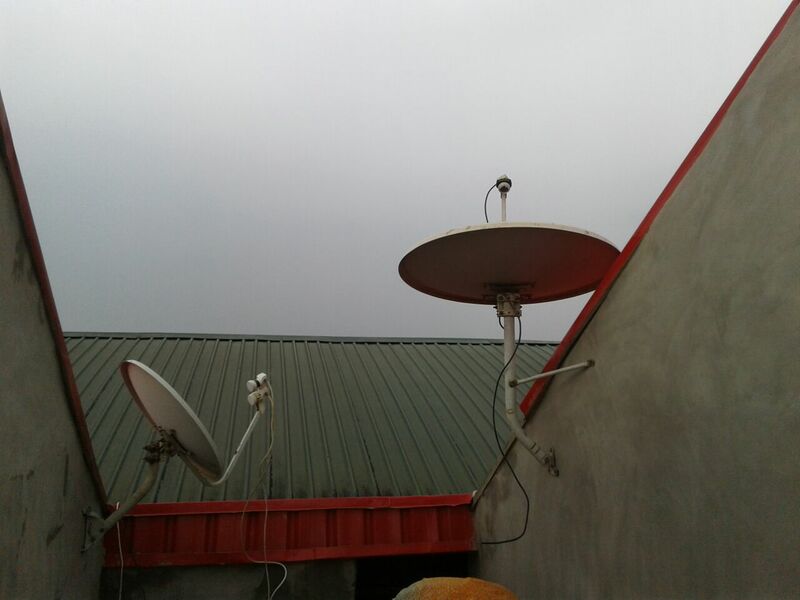 If you are an installer the dstv dish will face East while the small dish for MBC between North and East just like it is on the above and below images. After using frequency Blind Scan your device. And be sure to hit back MBC. MBC working position on our YouTube. 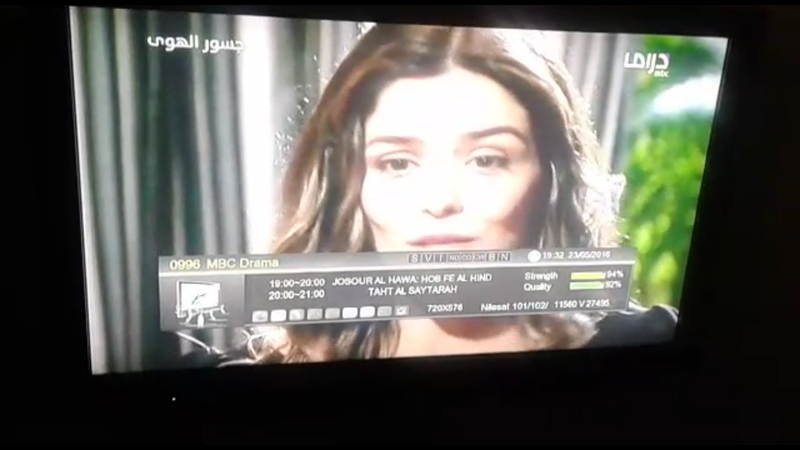 I also learnt there is another mbc on the east closer to multi TV.How true is that?